In Style Transportation is the premier Limousine and Car Service in Newport Beach, California. Our all luxury fleet of Lincolns, Cadillacs and Mercedes is less than three years old. We have airport permits at Los Angeles International Airport, LAX, John Wayne Airport, SNA, and Long Beach Airport, LGB. Reservations can be made by email, online, phone or through our phone application. We have an impeccable reputation and maintain a 5 star rating on Google and Yelp. 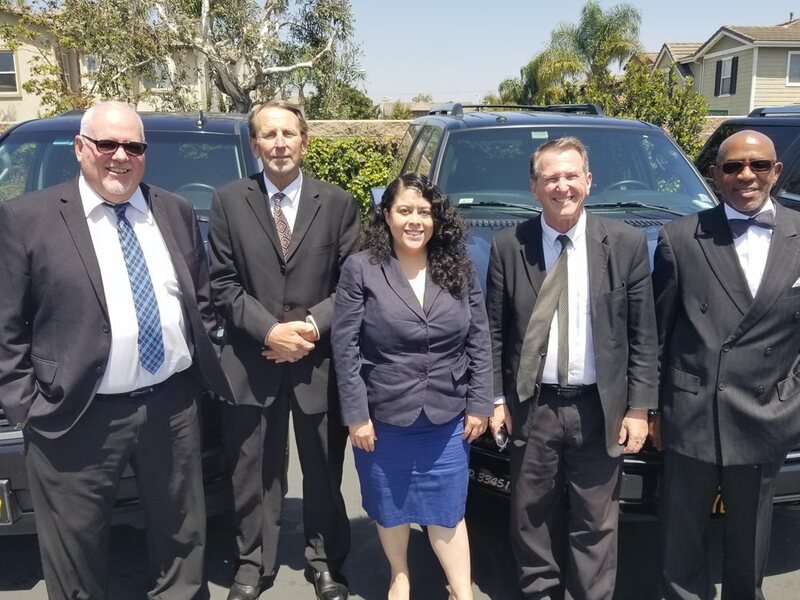 When choosing a limo service in Newport Beach, we hope you consider In Style Transportation as your trusted car service. The distance to LAX from Newport Beach is approximately 43 miles. The drive time to get there can range from 50 minutes to one hour and 40 minutes during rush hours. Typically, if you leave before 5:00 AM in the morning, you can get to LAX in about 50 to 60 minutes. However, if you leave between 5:30 AM and 9:30 AM the trip will typically take about an hour and a half to one hour and 45 minutes. When scheduling your pick-up time, we generally like to add 30 minutes to the typical travel time to allow for variances in traffic and potential jams due to accidents or construction. So, if you leave during morning rush hour, we would schedule your trip 2 hours and 15 minutes prior to the time that you would like to arrive at LAX. The distance to SNA from Newport Beach is about 6 miles. You can reach John Wayne Airport in 25 to 40 minutes. Traffic getting into and out of John Wayne Airport typically runs smoothly and is usually not congested. The distance to LGB from Newport Beach is about 25 miles. You can reach Long Beach Airport in 30 minutes and up to one hour. Traffic getting into and out of Long Beach Airport typically runs smoothly and is usually not congested. Newport Beach, California is a seaside city in Orange County, California with a population of 85,287. Newport Beach is comprised of ten distinct neighborhoods… The Airport District, Balboa Island and surrounding seven (manmade) islands, Balboa Peninsula, Balboa Village, Lido Marina/Cannery Village, Corona del Mar, Fashion Island, Mariner’s Mile/Westcliff, Newport Coast/Crystal Cove, and the Back Bay. When visiting Newport Beach, make sure to visit a beach and partake in the many water sports or rent a boat and take a cruise. With sunshine year-round and very little rain, every day is enjoyable in Newport. Take time to go shopping at the many luxury shops, spoil yourself in a world class spa and eat in one of the fine dining restaurants. In Style Transportation is the perfect choice to provide your car & limo service needs in Newport Beach! In Style Transportation is the most trusted Newport Beach, CA Car & Limousine Service. We are experts in airport shuttles to Los Angeles International Airport (LAX), John Wayne Airport (SNA) and Long Beach Airport (LGB). We specialize in corporate ground transportation for executives offering both hourly charters and point to point transfers. Rates are subject to availability and do not include a typical gratuity of 20%. Rates to and from an airport are a flat fixed rate. Other destinations are estimates based on a pick up at Fashion Island. A $15 EVENT FEE will be added to all PICK UPS at an event venue with a capacity of 2,500 or greater.